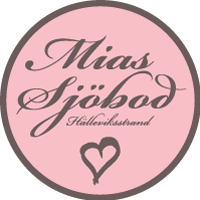 Sit in Mia’s boathouse and order a cup of coffee with homemade, buy with you something of Mias selected delicacies or accessories or flea market finds that each one tells its own history. 11:00 to 16:00, Sunday 11:00 to 15:00. Then we welcome you every day during summer v 25 – v 33. From row 34 is the red wooden door open Saturdays 11:00 to 16:00 and Sundays 11:00 to 15:00 until week 44.